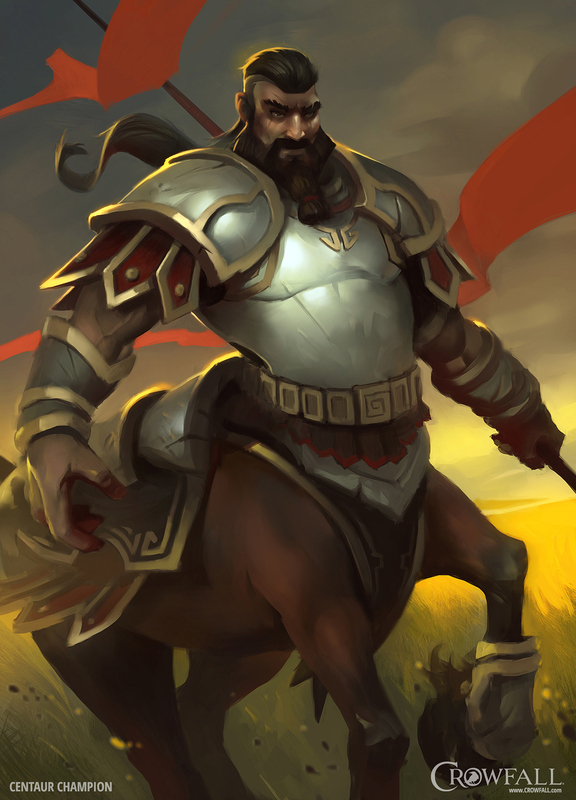 Centaurs in Crowfall belong to the playable Races, which were introduced alongside with the newly added Classes in the massive reveal on May 18th, 2017. The Centaurs are a proud and bellicose race who, for many generations seemed bent on conquering all the known worlds. This campaign of empire-building might have been successful were it not for the appearance of the Hunger, which corrupted (and eventually consumed) the Centaur homeworld of Pelion. 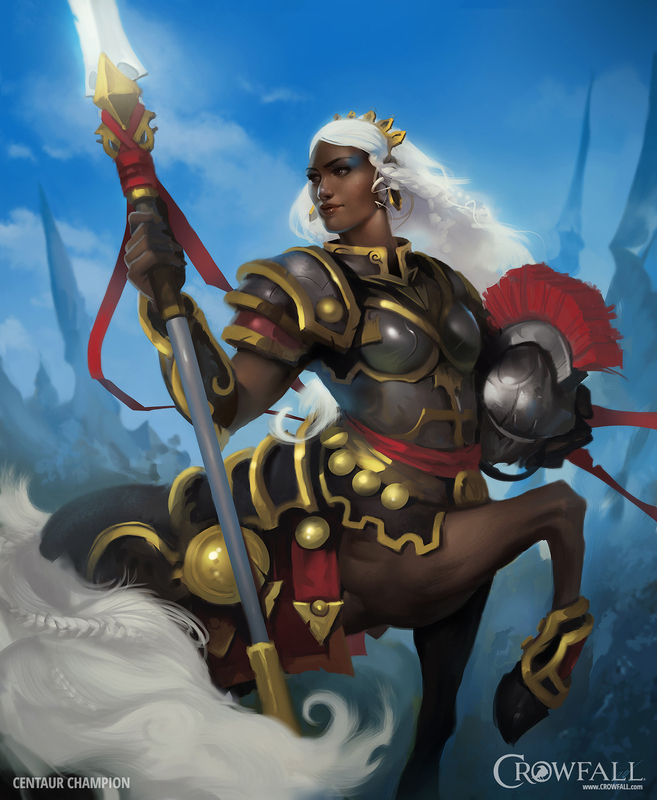 An expansionistic empire led by a senate, Centaur warriors are trained from birth in the art of war, and Centaur magistrates are taught the skills necessary to administrate a vast and ever-growing empire. The Centaurs have an origin story which is often (and proudly) repeatedly told. When the worlds were young, the gods held a contest. The wager was to see who could create the most magnificent of creatures. Each god shaped one beast, and imbued it with certain talents. Arkon granted speech to Humans. Zaleena gave cleverness to her Serpents. Malekei gave the Elves their beauty, while D'Orion gave strength and speed to the beasts of field and forest. And this continued with each god granting one talent in turn to every dim-witted forest creature that they could find. And he took the best of these talents – language, wit, elegance, strength, agility – and he vested them in a single creature. He called this noble creature the Centaur and placed it above the lesser beasts, to use or rule as he might see fit. 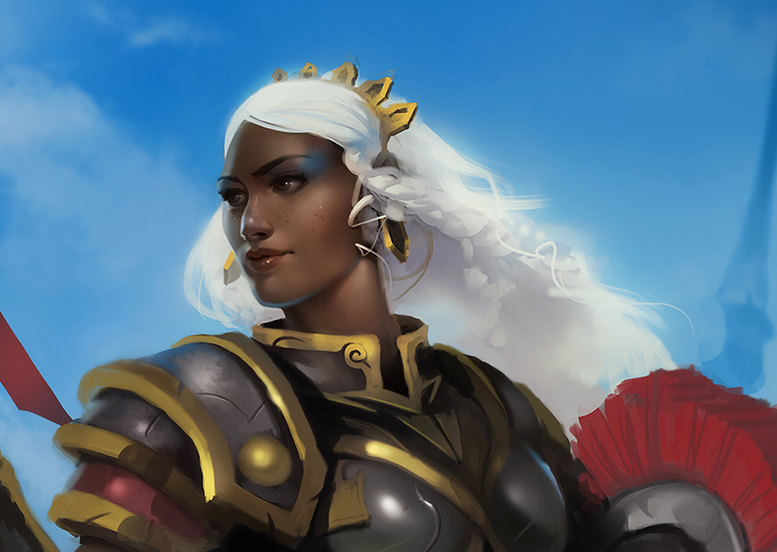 All the Gods agreed that Valkyn had won the contest for his creation truly was the greatest. 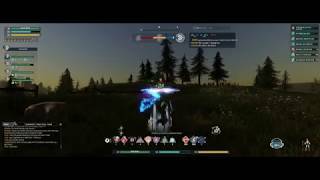 Gain Trailmaster and increase Out of Combat Movement Speed by 25%. Chance after suffering a damaging attack from melee to activate a combo to kick behind you for 60-73 + 67% Weapon Damage and knockback those hit. Dash 10m in your WASD direction at the cost of one Dodge pip. You recover one Dodge pip every 10 seconds. Charge forward while the input key is depressed, dealing 104 - 141 + 123% Weapon Damage to anything in your way. Applies an Armor Break to all hit, which reduces all Physical Mitigations by 20% for 15 seconds. Increases the groups Attack Power by 100 while within 50m of you. Increases the groups Support Power by 75 while within 50m of you.